Sovereign Cockroaches: Here we have a superb imitation cockroach, approximately an inch long, very realistic, with moveable legs. It can be used in a number of different ways. it can be used on an ordinary hook on the surface, it can be used on a fly rod, can be rigged with a small weedless hook to drag across pond weed and lily pads or piles of floating debris jammed against a tree. It can also be used with a small jighead across the bottom. We have had a huge number of species on these beetles from trout to carp. These are very cheap and an extremely useful addition to the lure box. Jaxon Mini Crawfish: These baits in this weight have been made especially for Sovereign. Usually ready weighted lures like this come with 12 to 15g embedded in them. 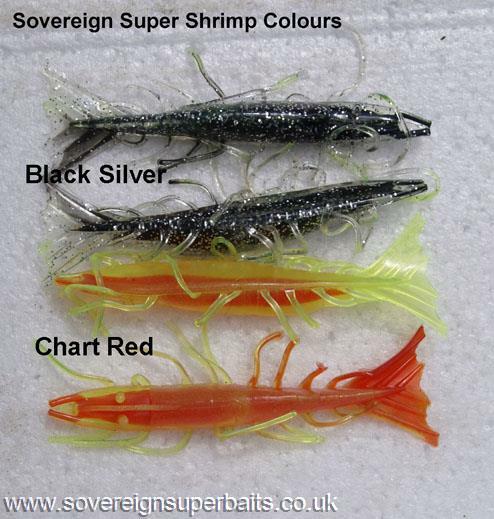 These mini crawfish have just 3 1/2g of jighead buried inside 1 1/2g of plastic, therefore can be used on ultralite rods. The large flat claws and feelers wave enticingly as they are jigged and the tail has been moulded into a step to enable these to STANDUP on the bottom like an aggressive crayfish. The few people we had try these out for us in different parts of the country all came back for more immediately. Early results are extremely promising. was moulded using the actual body of the UK brown shrimp. These can be fished in many ways. We have had great results here on the south coast simply using them in place of a live shrimp under a float to catch bass. 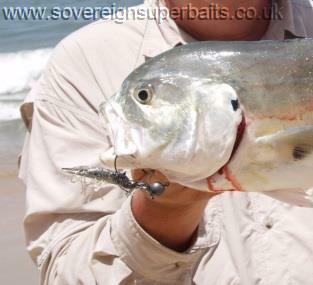 They can of course be fished in all the usual ways using jigheads, paternoster rigs, hopper rigs or on weightless hitchhiker weedless hooks over rocks and reefs in the first couple of hours of the rising tide. 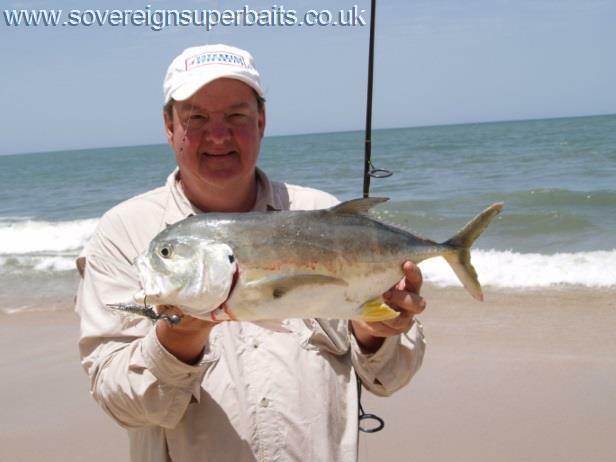 They are also very useful when drop shotting for perch on reservoirs and as you can see from the pictures below the Jack Crevalle in the gambia like them as well.